A new review published in the Cochrane Library provides strong evidence that falls in people aged over 60 years can be prevented by exercise programs. A team comprising researchers from the University of Sydney and the University of Oxford summarised the results from 108 randomised controlled trials with 23 407 participants from across 25 countries. The average age of the participants in the studies was 76 years and 75% of them were women. Eighty-one of these trials compared exercise (all types) versus a control intervention (doing no exercise or minimal gentle exercise that is not thought to reduce falls) in people living independently at home, in retirement villages, or in sheltered accommodation. 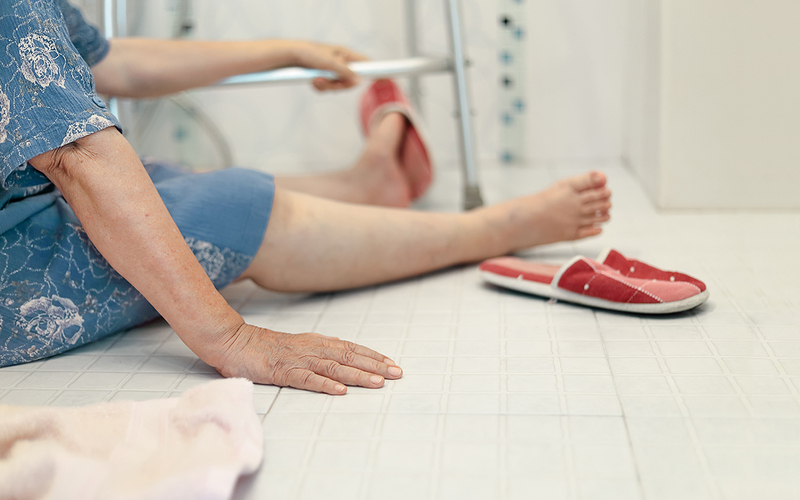 The review looked at two different ways of measuring falls. Firstly, they found that exercise reduces the number of falls over time by 23%. This means that if there were 850 falls among 1000 older people doing no fall-preventive exercise during one year, there would be 195 fewer falls among people who were undertaking fall-prevention exercise. They also found that exercise reduces the number of people experiencing one or more falls (number of fallers) by around 15%. For example, if 480 out of 1000 people experienced one or more falls over one year, participating in exercise programs would reduce the number of fallers by 72 people. The review found that exercise programs carried out in group classes or done at home prescribed by a health professional (such as a physiotherapist) or a trained exercise leader were effective. Exercises were mostly done while standing, as this better enhances balance and the ability to do daily activities such as standing up from a low chair or climbing stairs. Some effective exercise programs also used weights to make the exercises harder. People with sleep apnoea struggle to remember details of memories from their own lives, potentially making them vulnerable to depression, new research has shown, according to research from RMIT published in the Journal of the International Neuropsychology Society. Estimated to affect more than 936 million people worldwide, obstructive sleep apnoea (OSA) is a serious condition that occurs when a person’s breathing is interrupted during sleep. People with OSA are known to suffer memory problems and also have higher rates of depression but it is not well understood how these issues are connected with the development of the disease. Researchers examined how the condition affected autobiographical memory and found people with untreated OSA had problems recalling specific details about their lives. The study compared 44 adults with untreated OSA to 44 healthy controls, assessing their recall of different types of autobiographical memories from their childhood, early adult life and recent life. The results showed people with OSA had significantly more overgeneral memories – 52.3% compared with 18.9% of the control group. The study also looked at recall of semantic memory (facts and concepts from your personal history, like the names of your school teachers) and episodic memory (events or episodes, like your first day of high school). While people with OSA struggled with semantic memory, their episodic memory was preserved. This is likely related to their fragmented sleeping patterns, as research has shown that good sleep is essential for the consolidation of semantic autobiographical memory. Across both groups, being older was associated with having a higher number of overgeneral autobiographical memories while higher depression was linked to having worse semantic memory. Mindfulness meditation is a promising option for easing chronic pain, according to a pooled analysis of the available data, published in Evidence Based Mental Health. The most widely used psychological technique for treating chronic pain is cognitive behavioural therapy or CBT. But not everyone living with chronic pain, which affects around one in five adults, finds CBT helpful. The researchers trawled research databases for relevant clinical trials looking at the effectiveness of CBT or mindfulness-based stress reduction for the treatment of chronic pain–defined as lasting at least three months. Mindfulness is a type of meditation focusing on moment to moment awareness of thoughts, feelings, bodily sensations and the immediate environment. The stress reduction element aims to help those affected develop ways of coping more effectively with their pain. Out of an initial 184 suitable clinical trials, 21, involving nearly 2000 people, were selected, and the results data pooled. Most of the study participants were women and aged between 35 and 65. The conditions causing them pain were largely musculoskeletal. In nearly four out of 10 studies, participants had endured their pain for more than a decade. The review combined both direct and indirect evidence for the potential health impact of CBT compared with usual or no care; mindfulness compared with usual or no care; and mindfulness compared with CBT. The analysis showed that there were no important differences between either of the two techniques. Both significantly improved physical functioning and lessened pain severity and associated depression, compared with usual or no care.